Out & About are the most unique flooring and carpet shop in Stockport! And “what is it that makes us unique?” I hear you ask, well the fact is that we aren’t actually a shop! This page explains a little about who we are, our experience and why you will benefit massively from choosing us. Over 30 Years Experience in a Flooring & Carpet Shop in Stockport. My name is David O’Neill and Out & About Carpets is my business. I have more than 30 years experience in selling carpets and flooring – most of that time with Carpet World in Hazel Grove – but elsewhere for well-known retailers, wholesalers and manufacturers. Making your life easier when choosing carpets and flooring. 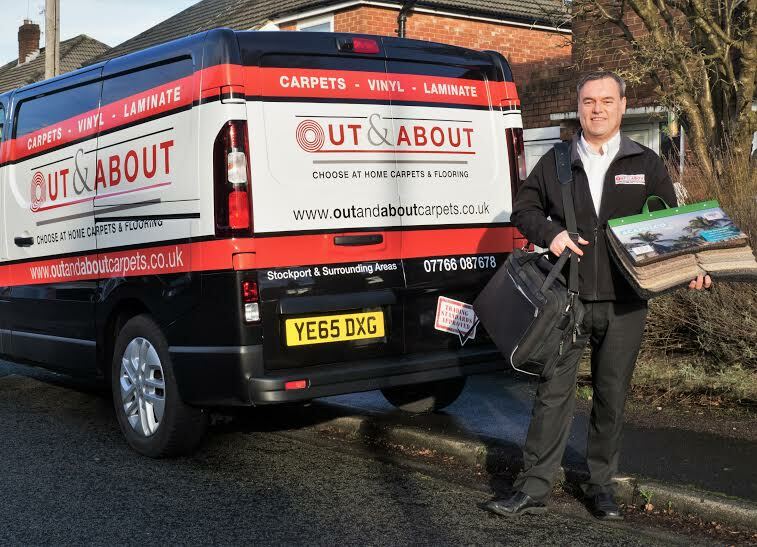 I know that choosing the right carpet and flooring can be difficult and so I felt there was a niche in the market to take flooring and carpets “Out & About” to the homes of the client to help make the decisions easier for you, the client. We have as much choice as any other flooring or carpet shop in Stockport, or anywhere across South Manchester, but the difference is this carpet shop comes to you. Where we offer more than just selling flooring and carpets. Silly offers like "75% off", "free fitting", "free underlay". 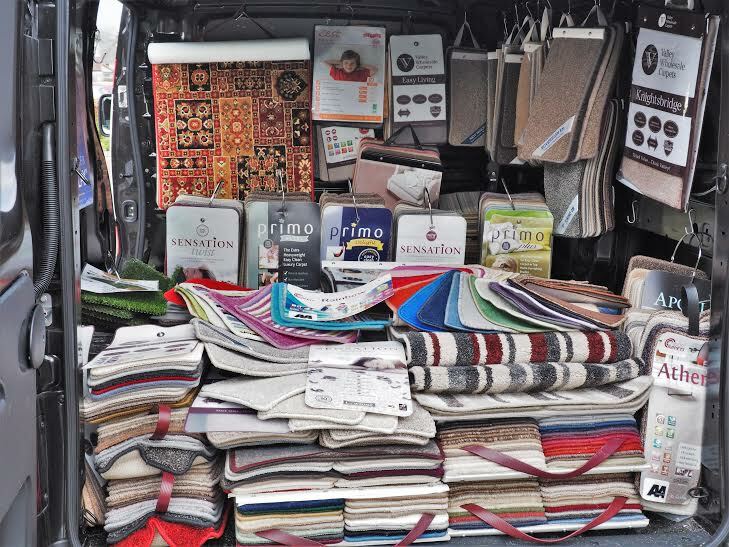 Out & About – where the flooring and carpet shop comes to you!